I had to work last weekend but decided to make the best of it and even have a little fun. A couple of my buddies were getting promoted, and had a little party planned for after hours to celebrate. I figured this would be a good opportunity to bring in some of my home brews in to share and show off a little. The idea of trying beer that "Bryon made in house," actually generated a little excitement. Folks were genuinely interested in seeing how it tasted and what it looked like. 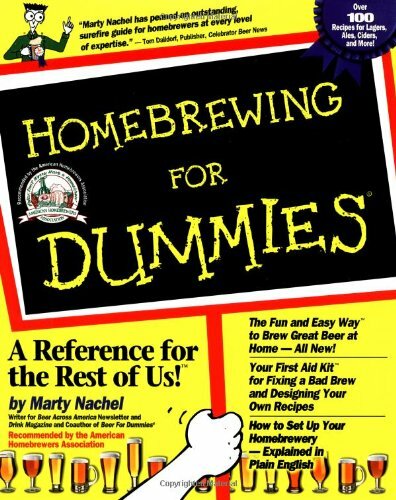 I fielded the usual questions from those that were curious about the actual process of home brewing. "How long did it take to make this?" "How did you carbonate it?" "What does your wife think about all of this?" He asked, "Is that home made grog?" When I offered him some he was eager to give it a try and ran back to his office for a glass. I had one more bottle left, he had asked just in time. When I opened the bottle and heard the less than impressive pop, I was concerned. It's ironic that the seal on this particular bottle was not as successful as the others. While the beer was fine, it wasn't as carbonated as the others. That being said, he still enjoyed it. There was something rewarding about having the boss enjoy one of my beers after a long day of work. That little tasting generated some interest in home brewing with a number of folks at work. 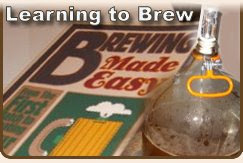 A few folks that couldn't make the gathering asked me to bring more in, others wanted to learn how to home brew. One guy had home brewed for years, and the stopped when life got complicated, was excited when he saw my empties at the party. "Who's the home brewer," he asked. 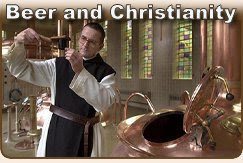 By the end of our conversation, I think I convinced him to get back into home brewing. 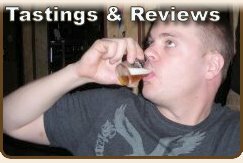 Home brewing is a lot of fun, but even more so when you can share the experience and the end results with friends and family. Consider bringing a bit of your home brew to the next party you go to. It makes for an interesting ice breaker, and you just might find some future brew buddies. It is a great feeling when you can share your beers with other people. I too have shared that anxiety when you pop the top to discover less than stellar carbonation. It's making me want to move on to kegging... Glad I'm mot alone on the carbonation anxiety... LOL!